Since the beginning of times man always had a deep longing to know the future. As God forbids fortune telling, he nevertheless sends prophets to prepare his people. One of the prophets in the twentieth century was a Pentecostal Pastor called William Branham. In 1933 he received seven prophetic visions on end time events. In the fourth vision he saw cars running automatically on American highways. Cars had no steering wheel and the front passengers were turned backwards playing some kind of game. The roof was completely transparent and cars were egg shaped. This prophecy is now in the process of being fulfilled. In 1997 a dozen of cars moved automatically on a Californian highway. The technology is now present to help establish these highways. Science will soon accomplish what God foretold. This book explains scientifically how and when science will fulfill this prophecy in the twenty first century. For more information contact Edwin Standley: Edwin.Standley@gmail.com Leonidas Muganda and Edwin Standley are Pastor and Engineer in Electronics respectively. They met for the first time at Hull University in England during their studies. Leonidas is married to Francoise and has three sons. He lives in Leicester and is a leader in his church. He has a passion for the word of God that he knows from Genesis to Revelation. Edwin lives in France, and is interested in science and especially automated cars. He read about the ministry and prophecies of a Pastor called William Branham. Leonidas and Edwin decided it was time to write a book explaining how the establishment of automated highways will fulfill what William Branham predicted in his prophecies a long time ago. 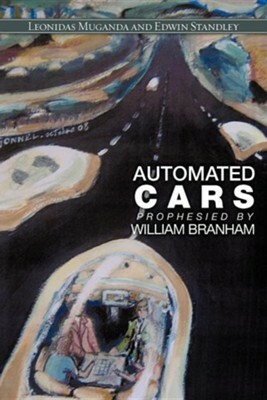 I'm the author/artist and I want to review Automated Cars Prophesied by William Branham.